Visit the Deferred “Real” Pricing page. 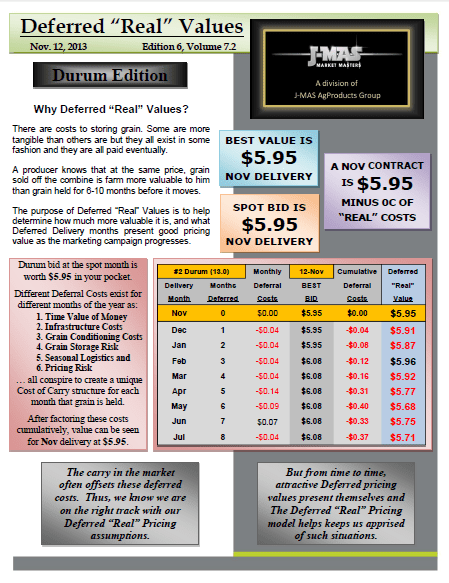 or here for the pdf version of Deferred Real Pricing – Nov 12th – All Crops. 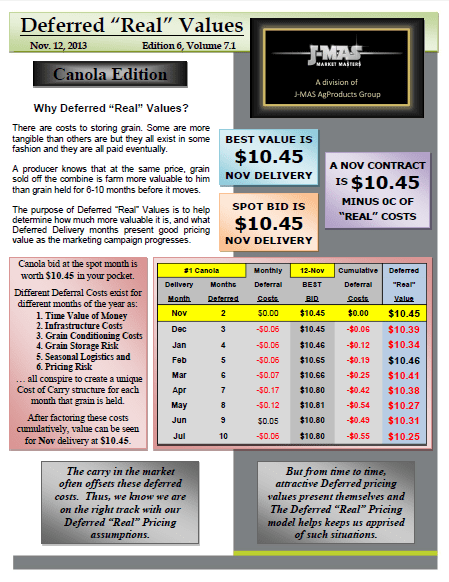 ← J-MAS Technical Report – $11.30 Canola, $6.90 Durum and 23.5c Lentil – still against the odds but those odds increasing again this week.